One of the reasons I decided on Shanghai as my destination of choice to teach English was the fact that the city had so much to offer when I had researched. I took comfort in the fact that even if my travelling did not meet my bucket list desires, I would be satisfied knowing I live in Shanghai. The city has far surpassed my expectations with the diverse range of sights and activities constantly going on. 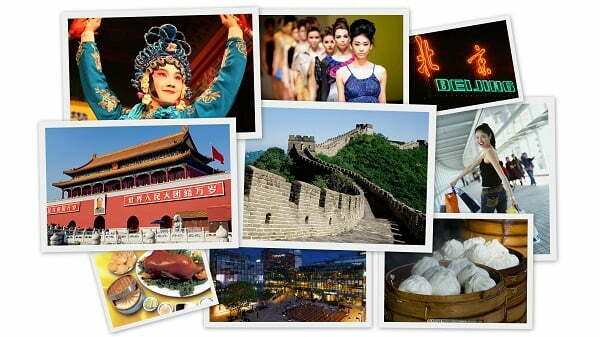 What has been unexpected is the variety of water towns that Shanghai has to offer. Something completely in contrast to the skyscrapers and fast pace of the city, yet very much situated within Shanghai. Of the water towns that Shanghai has to offer, I decided to give Zhujiajiao a try. There are water towns that are a lot closer to the city centre but I liked the idea of getting closer to the outskirts of Shanghai. Zhujiajiao is easy to get to via line 17 of the Shanghai metro. This metro line is less than a year old and has made accessing this water town dramatically easier. Upon arrival, you will feel as if you have entered a new world despite having only been on the metro for just over an hour (from central Shanghai). It’s a bit of a walk from the metro to the town but you don’t feel it – the air is fresher and your surroundings are significantly greener. It’s so refreshing to take in. I was pleasantly surprised to note that the hoards of crowds that seem to be a permanent fixture of Shanghai were not apparent here. Zhujiajiao definitely had a buzz but it was nowhere close to the overcrowding I have become accustomed to. I think this can be attributed to the newness of the metro line as well as the distance from the city. Tickets for the attractions at the water town are available at the tourist information centre. There are a surprising amount of things to do and the tourist information centre offers a combination ticket that provides access to the museums; garden and a ride on a boat on the canal. The town flows well, with attractions seamlessly slotted in between craft and food stores. There is a body of water that runs down the middle and beautiful bridges every hundred metres connecting the two sides. I found the garden to be a particular highlight given its layout and the traditional architecture. I was lucky enough to visit during spring which meant blossoming flowers galore. The temple situated in the town is also something quite special, the sight of incense smoke billowing through the air and bright red lanterns. There are some stimulating museums and galleries. Most noteworthy being a gallery that showcases traditional Chinese calligraphy, you can actually watch an artist doing the writing and if your wallet allows, commission your own request! There are numerous quaint cafes overlooking the water. Definitely make the most of this when you have your lunch break and enjoy a variety of noodle; rice and dumpling dishes. Of course you cannot leave without having gone on a boat ride on the canals. If you buy the all inclusive ticket, the boat ride included in there will take you across to a different part of the town – convenient and enjoyable (and most importantly, you don’t have to row!). Zhujiajiao proves that Shanghai is so much more than meets the eye. With an offering such as this one of many water towns, you are guaranteed to always have something to do when you are here. Shanghai proves that you will never be bored when are here – live that big city life one day and then hop of the metro and get that small water town fix you need, all within the boundaries of the city. In my honeymoon phase with Shanghai, a city filled with beautiful contradictions. South African lawyer who is thoroughly enjoying teaching English as a means to escape seriousness for a bit. Lover of gin cocktails; a good book; museums; and sleeping in.